At Lincoln Crum Realty, we’re not just agents… We are professional members of the National Association of Realtors and we subscribe to a strict code of ethics. Besides being expert guides, having property marketing power and negotiation knowledge, we will serve as your rock during the emotional moments of your home selling process. We will be your concerned, but objective, third party that helps you stay focused on the issues most important to you. 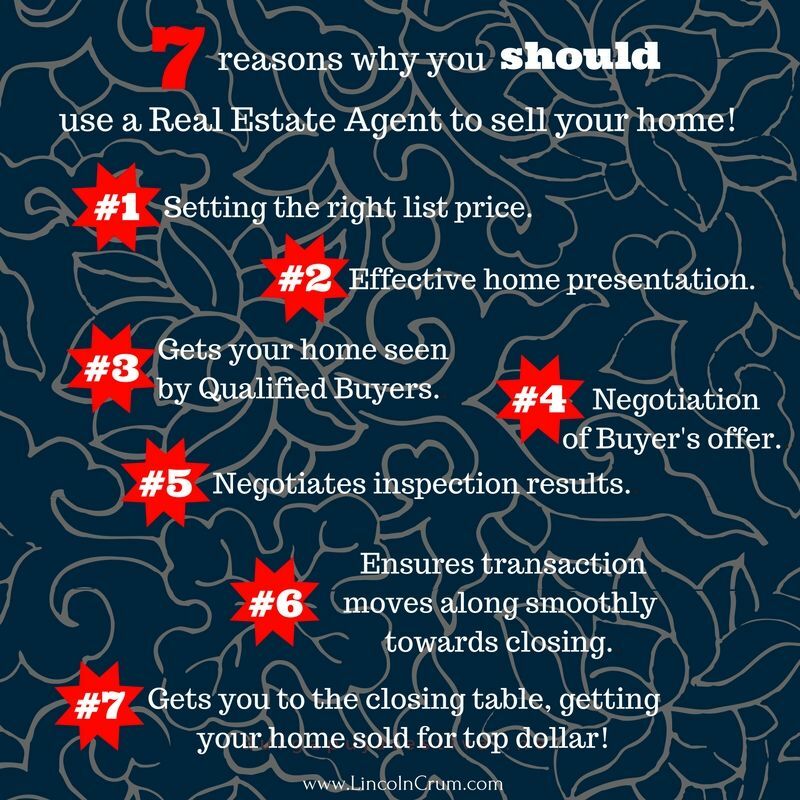 If you are considering selling your home, call us today at 812.987.2830.